The Houston Log Home kit from Katahdin Cedar Log Homes has 3 bedrooms and 2 baths as well as a loft with a balcony overlooking a large living room. At just over 2,000 sq. 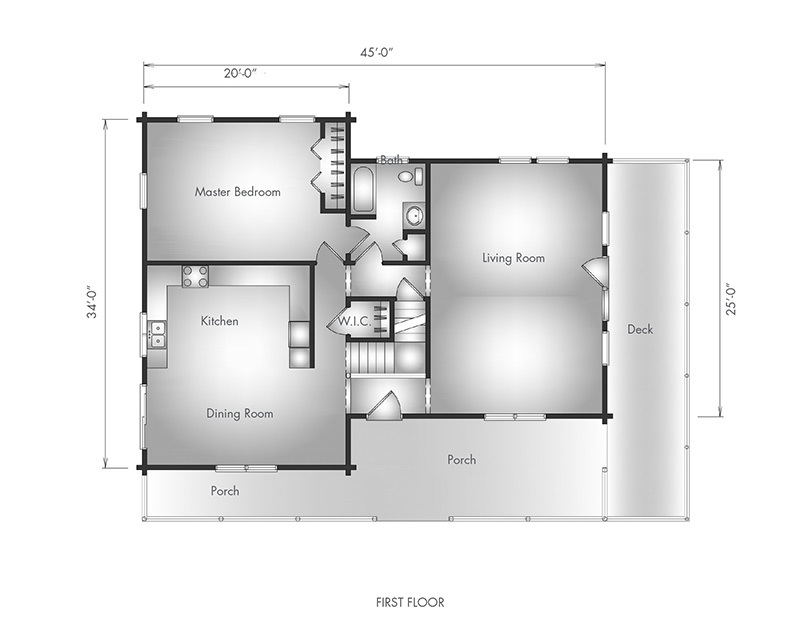 ft., the Houston is very spacious and a well-designed log home kit. The Houston is a great all-around cedar log home kit. It has many of the great features known to Katahdin homes such as a 10/12 pitch Purlin roof creating a beautiful, tall cathedral ceiling for the living space. This ceiling design also allows for two levels of tall windows to let plenty of light in and can add to the view of the landscape outside. 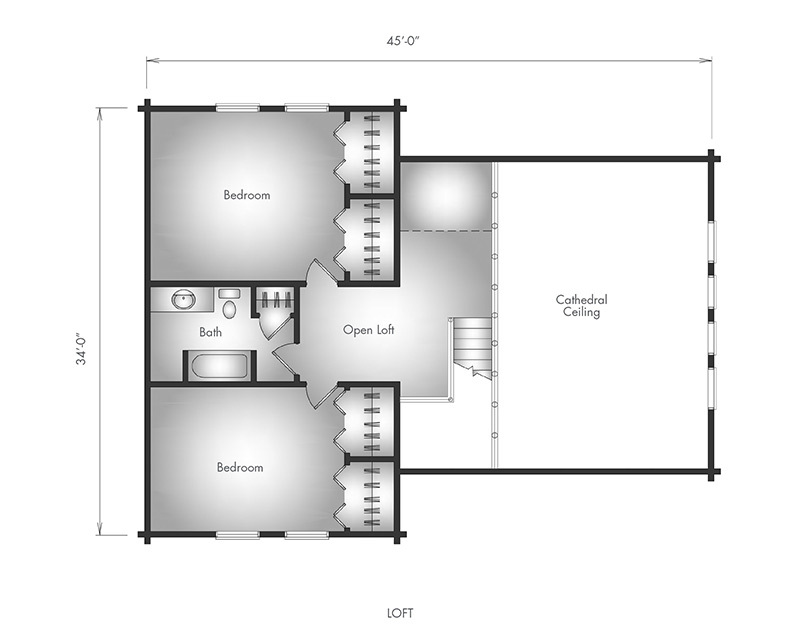 This kit has 3 bedrooms and 2 baths as well as a loft with a balcony overlooking the large living room. At just over 2,000 sq. 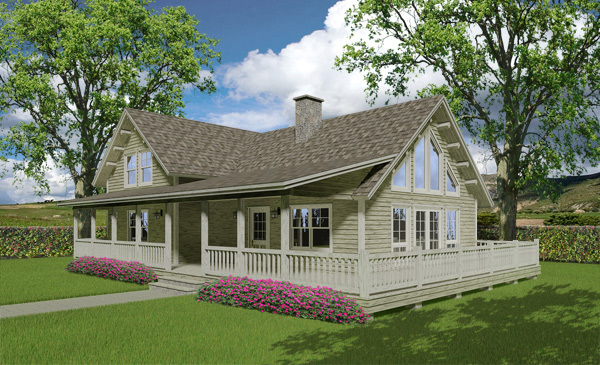 ft., the Houston is very spacious and a well-designed log home kit.